in 2015, Indian Bollywood stars often made news for posting small video clips on social media platforms. In these clips, stars lip-synced and acted out famous dialogues or songs, made on the app Dubsmash. In 2017, a similar app called Musical.ly, started trending in India and within a few months, became the most downloaded app on Android and iOS. However, the app was also a social network (it still is) and enabled users to make videos and share those on its platform, apart from other social networks. In June this year, the app had about 4.84 million daily active users (DAUs) in India on the Android platforms, according to data from New York-based analytics company SimilarWeb. 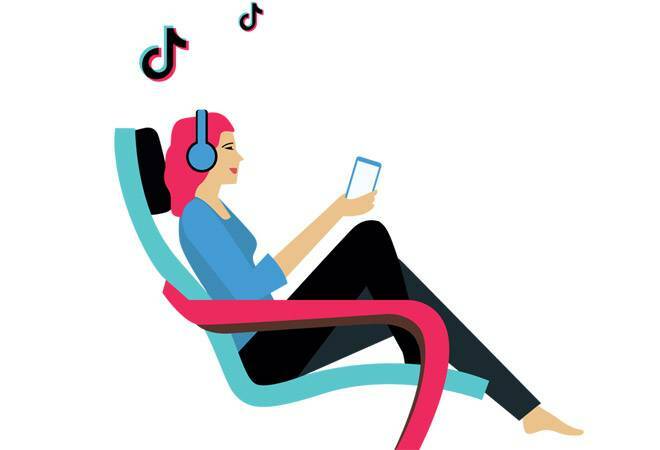 In July, the company merged with another music video platform TikTok, and in August its DAUs (in India) almost doubled to 8.64 million on the Android platform alone. Both apps are owned by Chinese Internet giant Bytedance. Apart from the presence of celebrities such as Shraddha Kapoor, Tiger Shroff, Shahid Kapoor and Disha Patani and stand-up comedians such as Tanmay Bhatt and Bhuvan Bam, the app has also created many influencers. For instance, Vitasta Bhat and Disha Madan have more than a million followers on the app, and are being tapped by brands to promote products. Bhat can be seen eating a piece of chocolate in a clip with its ad jingle playing in the background, while Madan has reviewed a restaurant on her handle. Companies and brands are, however, looking at more ways to utilise the platform. TikTok, too, is yet to monetise its large user base. The company told Business Today in an e-mail response that its current focus is on improving the app and creating engaging content. The app is open for ads in India but experts say that the targeting options on it are limited. Brands can currently use two formats to advertise on TikTok in India - takeovers for reach and impressions, and in-feed video (limited to 15 seconds) for placements. According to Ishtaarth Dalmia, an anthropologist with digital agency Dentsu Webchutney, brands will not be waiting till TikTok scales up. "As organic reach drops, brands will looking at other platforms with a younger audience. Recently, GUESS and TikTok partnered to launch a branded content channel for new product launches. Agencies, too, are figuring out what makes the app tick," says Dalmia. Most brands are using the app as a supportive platform for their campaigns already existing on the likes of Instagram and Snapchat, says Ashish Chandra, Head of Strategy at digital marketing agency Grapes Digital. When they plan a campaign on Instagram and Snapchat, most of these brands also use TikTok, he adds. However, given its growing popularity, TikTok may become a primary platform when it comes out with better monetisation options in India. Dating app Tinder says it has become the top-grossing Android app in India. The announcement came when Tinder rolled out its new feature called Tinder Top Picks for its paid members. The company, which had launched its premium subscription service Gold last year, says it has added three million paid users since the launch. It had been testing Top Picks in select markets ever since and recently announced that the service would be available worldwide. Although Facebook and Twitter are witnessing a slowdown in growth, Pinterest says it has 250 million monthly active users on its platform. The social networking channel has also revealed that 80 per cent of its new users are from outside the US, which means it has grown across the globe and not just in one country. The company has also seen 75 per cent growth in pins since last year and currently features 175 billion pins.